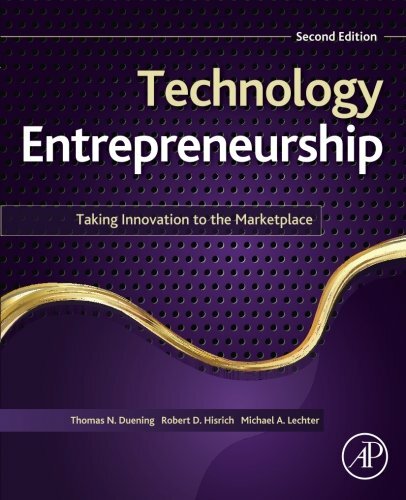 The focus of this book is on technology ventures ― how they start, operate, and sometimes exit profitably. 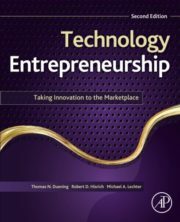 In short, it covers all the elements required to launch a successful technology company, including discussion of cutting-edge trends such as “entrepreneurial method” and “lean startup,” emphasis on the ideation process and development of an effective business plan, coverage of product and market development, intellectual property, structuring your venture, raising capital, sales and marketing, people management, and even strategies for exiting your venture. This is not another armchair book about entrepreneurship. It’s a working guide for engineers and scientists who want to actually be entrepreneurs.